Share the post "Trading chart patterns: The dead cat bounce"
One of these patterns is called a dead cat bounce, and it entails the correction of a bearish trend in price action. A dead cat bounce occurs when, for example, a stock is continuing in a strong downtrend. There will be a combination of short sellers and those who will close their position or change to a long position. As a result, the stock is placed under increased buying pressure and might level with a temporary increase in price before it continues again in the direction of the downtrend. In order to take advantage of this pattern, you will first need to learn how to identify it. This can be rather challenging and requires a strategic method of identification. A price bounce alone does not guarantee this pattern’s existence; it only represents the possibility of the pattern. In order to confirm this pattern, you will first need to spot the strong bearish trend on the chart. Once you have done this, look for the break in the downtrend with a short-lived price increase. Next, you will have to wait for the price to go below the previous low point on the chart, which isn’t always a certainty. Timing your trade on a dead cat bounce pattern is the most crucial aspect to executing the trade correctly. If any step is neglected, it could easily lead to a loss. That is why timing is everything in order to avoid missing a key part of the decrease in price. This makes trading the dead cat bounce risky in nature, especially because it’s all about maintaining that focus to avoid missing the wave in time. Your first step in trading this pattern is to set up a stop loss order to prevent a large loss in the event you were wrong about the pattern. The trend could reverse at any time at an unpredictable intensity. This could be even worse if you are trading on a margin. 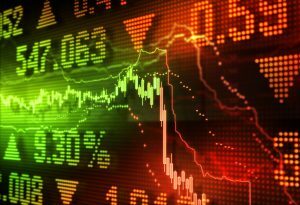 If the bounce turns out to be a false alarm, your trade will be left with no protection and likely losses. The best place to put a stop loss order would be above the high of the bounce. This will reduce the loss should the attempt to trade a dead cat bounce fail. When trading a dead cat bounce, you should look for a price move that is roughly the same as the previous trend movement. This is because the price can be expected to drop an equal amount to the previous impulse. If you have made your trade during this period, your profits can then be taken where the pattern ends. Now that you understand the trading strategies behind the dead cat bounce, we can look at the practical steps involved in placing the trade. First, you will identify the bearish trend and mark it with a downward trend line. Notice where the price breaks through the trend and rises above it. Identify the previous low and wait for the price to break that point. This will confirm your dead cat bounce pattern. You will then short the stock and place your stop loss order above the high point of the bounce. Once the price returns to a bearish trend and has moved an equal size to the previous impulse, you can close your trade and claim your profits. Even with these steps in trading a dead cat bounce, timing remains the key to your success. Entering your trade at the wrong time can cause you to miss the prime opportunity in the trend. To avoid this, place your trade as the candlestick closes below the previous low.